It's not the most well-rounded smartphone out there. The LG V20 is one of several flagship phones you can buy right now. And though we like it -- we gave it a score of 82 -- we recommend it with more caveats than usual. On one hand, the phone packs a Quad DAC and support for 24-bit high-resolution audio, making it a great choice for people who care about sound quality. Being a flagship, it also offers top-shelf components and it's one of the only phones available right now that runs Android Nougat. The 5.7-inch Quad HD display is also bright and crisp, though we're not sure the tiny secondary screen really adds much. That all sounds great, but keep in mind that the dual camera setup trails the imaging experience you'll get on rival devices, including the iPhone 7 Plus, Samsung Galaxy S7 or either of Google's Pixel phones. 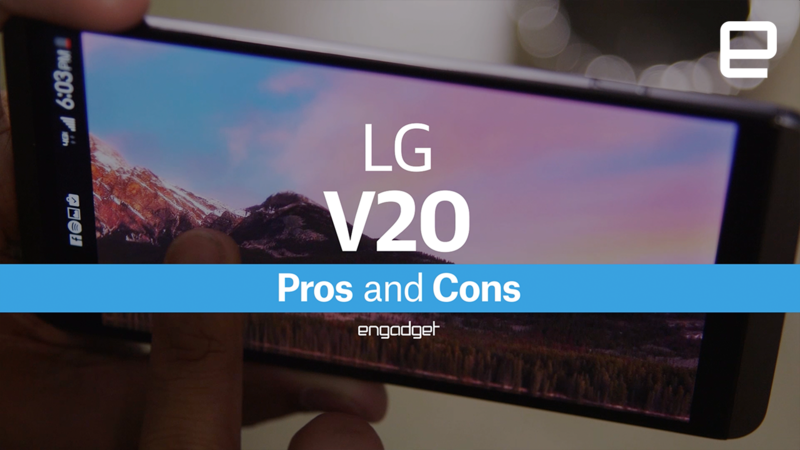 What's more, the V20 isn't waterproof -- a feature we've come to expect on high-end handsets -- and it's also difficult to use one-handed. All told, then, it's a good phone, just not necessarily your best option.